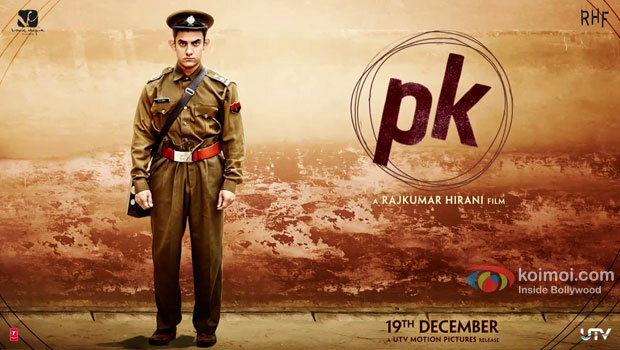 Aamir Khan’s upcoming PK is one of the most anticipated films of the year. It has already been getting quite a lot a attention thanks to its quirky and intriguing posters. This film brings back the super-hit team of 3 Idiots together and thus the trade pandits are already speculating a huge business from it. In the meanwhile, there is buzz that the film’s satellite rights have been sold at a huge sum of 85 crores. Interestingly, the catch in this deal is that the makers have promised a domestic business of 300 crores. Post Kick this is the second film to have sold its satellite rights before its release. One of the advantages of having the satellite sold at a high price is that it helps the producers recover a major chunk of their investments. Well, Aamir’s last film Dhoom 3 was in close range of the big figure but fell short before it ended its run. Let’s see if PK achieves this feat or not! In the last 20 years of Bollywood only Aamir Khan delivered quality movies. Salute to the Legend Mr. Perfectionist!